PARKS, Barbara. 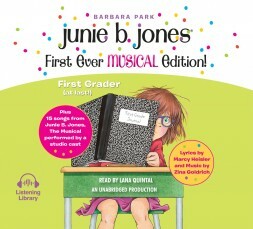 Junie B. Jones First Ever Musical Edition! 2 CDs. 77 min. Listening Library. Jan. 2017. $20. ISBN 9780147523440. digital download.